A casual visitor from Mars could be forgiven for thinking that Wales is celebrating the second millennium of rugby football, rather than Christianity. As the hysteria surrounding the Rugby World Cup is whipped up to fever pitch, Wales's god is being projected as an oval ball. There is a saviour who has come from New Zealand rather than heaven, with 15 apostles chosen for their ability to keep god out of the hands of Wales's enemies, performing the sacred rites before an ecstatic congregation in a place of worship very akin to sacred gathering places of old such as Stonehenge and Rome's Colosseum. We, the assembled congregation are being told that rugby is no longer just a game, or even Wales's national game but, as the television channels seeking to persuade us to follow the rites every waking hour, put it: "A way of life! A way of believing! Rugby, the heart of Wales!" It is not just rugby non-fans who find this religious approach distasteful. Not many months ago, Alun Rees, the distinguished sports columnist of the Western Mail (also a poet in his spare time) felt obliged to remind his audience - during a spate of wailing and gnashing of teeth at the national team's poor performance - that rugby is an aspect of life, not life itself. Just in case anyone thinks otherwise, there are people in Wales - large numbers of them - who take no interest in rugby whatsoever, and they are none the less Welsh for that. There are many others who, while happy to follow the fortunes of the national team, find the wall-to-wall clichéd superlatives now attached to every try and penalty kick tedious in the extreme and regard the pressures being placed on players and coaches to excel as intolerable. Rugby is not a religion and it is asking too much of those involved to cast it in that role, however much money some people stand to make by doing so. of Ann Griffiths and Pantycelyn and Emrys ap Iwan. Our duty is to hand down to our children the inheritance which we have been give, as heritage of preaching the Gospel of the Son of God, of praying and taking action, and of making Wales a society based on Christian moral principles. There have been other elements, of course, not least geography and language. 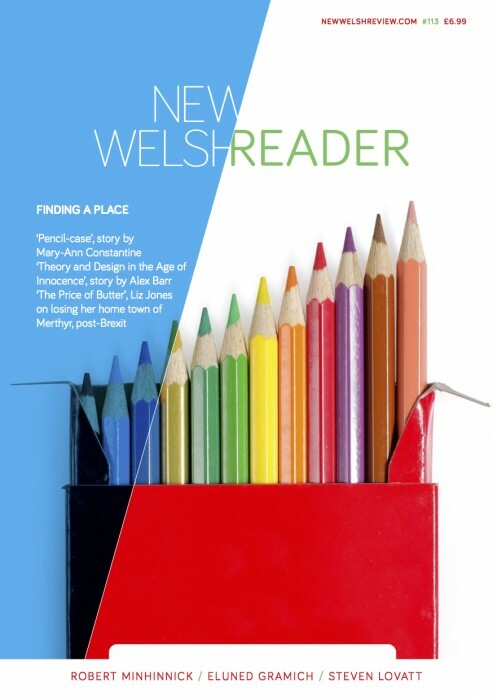 But as a rewarding new study*, from which the quotation is drawn, spells out, Welsh identity sprang from, and has been sustained by, above all else, its Christian tradition. It is difficult to imagine a Wales without it. Yet in the half century since Gwenallt penned those words, Wales has drifted decisively away from that tradition. The chapel- and church-going society which anybody over the age of 40 remembers from their childhood has all but disappeared. Wales has become a secular, consumer society dedicated to pleasure. And, for better or for worse, two thousand years of Christianity is coinciding not only with a world rugby tournament and the election of the first ever, democratically-elected Welsh national assembly but with an acceleration in chapel closures and a crisis for churches as congregations dwindle to unsustainable levels. Where does this leave us? If there was ever an occasion for Wales to pause and take stock of where it has come from over the past 2,000 years and where it wants to go, the millennium is surely it. If Welsh society is no longer to be based upon Christian moral principles, then what is it to be? This is not only a religious but also an urgent social, political and cultural question. However, one thing is certain - the answer is not rugby football. *Sacred Place, Chosen People: Land and National Identity in Welsh Spirituality by Dorian Llywelyn, 210 pp., University of Wales Press, £12.99 (pb), £25 (hb).